TRACTION INTÉGRALE, NAVIGATION, TOIT OUVRANT, CAMÉRA DE RECUL, SONAR DE STATIONNEMENT AVANT / ARRIÈRE ET SYSTÈME D'ALERTE DE CIRCULATION TRANSVERSALE, SYSTÈME PRÉ-COLLISION, SYSTÈME AVERTISSEMENT DE SORTIE DE VOIE AVEC ASSISTANCE À LA DIRECTION, MONITEUR ANGLES MORTS, AUDIO PREMIUM LEXUS À ÉCRAN 10.3 AM / FM / CD / USB / MP3 / WMA / BLUETOOTH / RADIO XM SATELLITE INTÉGRÉ À 10 HAUTS PARLEURS, SIÈGES ÉLECTRIQUE / CHAUFFANTS ET VENTILÉS, SIÈGE CONDUCTEUR À MÉMOIRE, VOLANT EN CUIR / CHAUFFANT AVEC COMMANDE AUDIO / BLUETOOTH / PÉDALE DE CHANGEMENT DE VITESSE ET RÉGULATEUR DE VITESSE À RADAR, JANTES LEXUS 18, PHARES DE ROUTE AUTOMATIQUES ET ENCORE PLUS!! 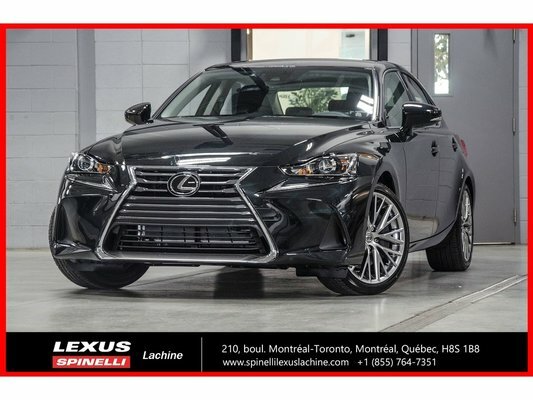 AWD, GPS, MOONROOF, REAR BACKUP CAMERA W/ FRONT AND BACK SONAR AND REAR CROSS TRAFFIC ALERT, PRE-COLLISION SYSTEM, BLIND SPOT MONITOR, LANE DEPARTURE ALERT W/ STEERING ASSIST, PREMIUM LEXUS AUDIO W/10.3 DISPLAY / AM / FM / CD / USB / MP3 / WMA / USB / BLUETOOTH / INTEGRATED SATELLITE XM RADIO W/ 10 SPEAKERS, ELECTRIC / HEATED AND VENTILATED FRONT SEATS, DRIVERS MEMORY SEAT, LEATHER / HEATED STEERING WHEEL W/ AUDIO CONTROL / BLUETOOTH / PADDLE SHIFTER AND DYNAMIC RADAR CRUISE CONTROL, 18'' LEXUS ALLOY WHEELS, AUTOMATIC HIGH BEAMS AND MORE!! "I recommend working with Julian Fera in service"